CUBITAL TUNNEL SYNDROME | GEORGE D. GOUDELIS MD. Ph.D.
Cubital tunnel syndrome refers to entrapment of the ulnar nerve in its passage around the medial aspect of the elbow. The ulnar nerve normally passes through the anatomic cubital tunnel, which is a fibroosseous ring formed by the medial epicondyle and the proximal part of the ulna. Beyond the elbow, the nerve travels under muscles on the inside of the arm and into the hand on the side of the palm with the little finger. As the nerve enters the hand, it travels through another tunnel (Guyon's canal). The syndrome may result from compression, traction, friction, or direct trauma to the ulnar nerve. Compression is thought to be the most frequent cause. The hallmard complaints of the patients are numbness and tingling in the ring and small fingers and medial forearm pain. 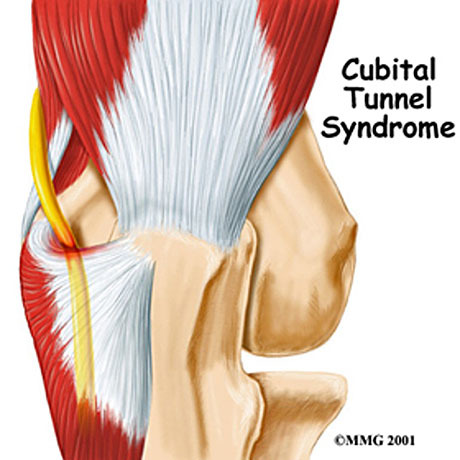 Patients with cubital tunnel syndrome frequently suffer from nocturnal symptoms. 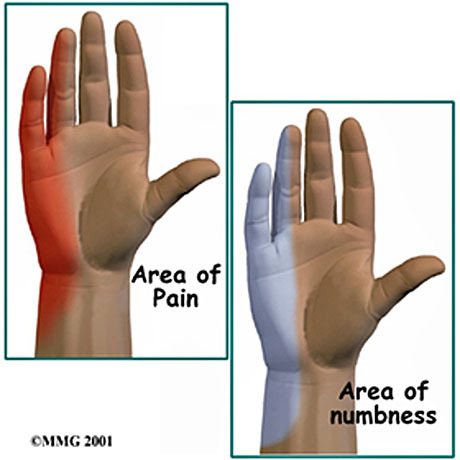 In addition, complaints of vague ulnar forearm pain, tenderness on the medial aspect of the elbow and hand clumsiness frequently are reperted. Throwing athletes may suffer from chronic traction injury of the ulnar nerve. Nonoperative management of cubital tunnel syndrome is frequently successful. Prolonged periods of elbow flexion are often the source of nerve irritation. A careful history of work and lifestyle habits often reveals obvious sources of nerve irritation. Patient should be educated to avoid prolonged periods of elbow flexion and limit resting the elbow on hard surfaces. Patients with nocturnal symptoms often benefit from night splints. The corticosteroids injections in to the cubital tunnel is not recommended. Anti-inflammatory drugs helps to reduce the nerve edema and inflammation. 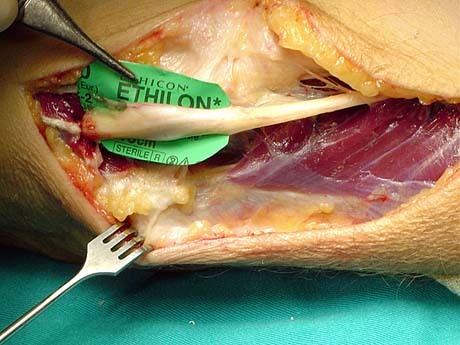 Surgical release of the cubital tunnel considered as the final solution of this common problem. Indication for nerve decompression refers the situation in which nonoperative treatment has failed to relieve the symptoms. electromyography demonstrating moderate to severe nerve damage. 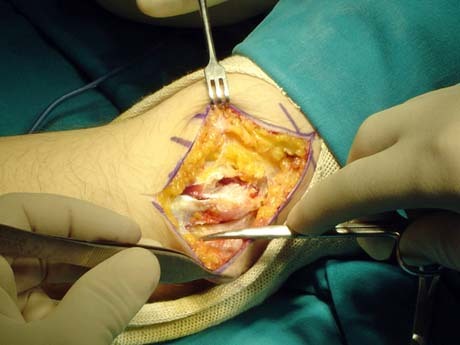 Surgeons use various ways to relieve compression from the nerve around the elbow. The ulnar nerve is behind of medial epicondyle. Ulnar nerve preperation for transfer. The ulnar nerve transfer on new place at the front of the elbow joint. This place is very comfortable for the nerve and the symptoms gradually get less.